How many different kinds of rattlesnake are there in California? 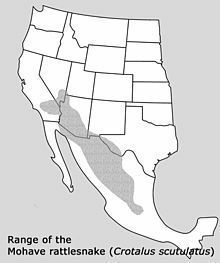 There are currently 10 recognized species/subspecies of rattlesnake in California! Here are some links to excellent information about rattlesnakes. Do I have Mohave (Mojave greens) rattlesnakes where I live? Unless you live in the shaded area of this map, NO YOU DO NOT! Many rattlesnake species can vary in color from one location to another. Just because a rattlesnake is green in color, dosn't mean it is a mohave rattlesnake!